Being an active cyclist, both road biking and mountain biking, I spend most of the month in the saddle while conducting guided bicycle tours through South Africa. On my last tour, I was hired as a freelance bicycle guide for a German tour operator. Their criteria was “The guide needed to speak German” and “be riding fit” both these criteria were met.. Looking at the two week tour itinerary I noticed that most of the days were all between 80 and 100km, and all had varied climbed meters. This of cause was dependent on the cycling route from A to B. 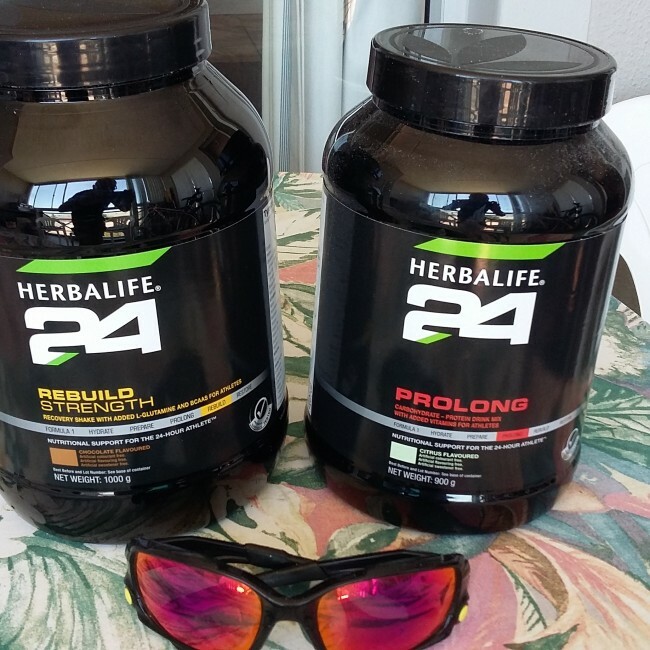 It was the perfect opportunity to put the H24 Sports Nutrition from Herbalife to the test. I have in the past used the Prolong and wanted to test this with the Rebuild Strength. I did not know at the time that this would be a winning combination and one to recon with. Provides a dual-source carbohydrate blend for immediate AND sustained energy. Bioavailable electrolytes help support muscle contraction and maintain a properly functioning cellular environment, while whey protein isolate helps reduce muscle breakdown and speeding recovery times. After a work out, a blend of free amino acids, 24grams of whey and casein proteins help rebuild muscle over a multi-hour period. Great chocolate taste. During the last twelve days I cycled around 900km and climbed 9300m. Many of the days cycle routes and a 100km stretch and never less than 75km. After every ride I took the Rebuild Strength, knowing that I'd need the power and fresh muscles the following day. Being the local bike guide I needed to lead the pack and couldn’t just say “slow down”. The first two days on the product was more like getting used to things, but then this relaxed feeling and energy was felt. I also fuelled on the Prolong in my water bottle, especially going up all the mountain passes but also through the Little Karoo. Riding at around 30km/h and 45 degrees was no problem. I had found my space and enjoyed every kilometre cycled. By the end of this tour I could truly say I had found my most loved distance, the 100km rides were a blast. I can truly say “HERBALIFE -H24” is the way to go..
My strategy was one bottle Prolong and the second bottle filled with a locally made electrolyte powder, replacing the lost salts and minerals, and then the Rebuild Strength within 30minutes of completing the days exercise. We also used energy bars from the local store, more like an oats muesli type bar. If your interested in these H24 products they can be found in our online shop. Please register for a free account to see the pricing.